Here come the Gemini Twins, going a mile a minute! Clever and curious Gemini is a sign that thinks fast, communicates well, and is full of ideas. Their versatility and adaptability stem from their split personality -- part intellect, part scatterbrained! The Twins are powered by information and feel most at home when sharing thoughts and conversations with others. Gemini is like a sponge, soaking up as much information as they possibly can. Whether it’s through reading, talking, or writing, Gemini’s thirst for knowledge is constant. As the most talkative sign of the zodiac, the Twins are known to be social, and are always on the lookout for a good time. Thriving on variety, you never know what you’ll get with Gemini! Naturally, Gemini’s Tarot card involves two people: The Lovers. 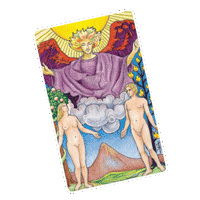 The Lovers card reflects love, unity, and marriage -- the concept of two people becoming one. As the sign of the Twins, Gemini is known for having two opposite personalities that converge in one soul. Gemini is also empowered by the presence of others, so the idea of committing to another person who will always be there, like The Lovers, fills this need. Like two peas in a pod, the zodiac sign Gemini is associated with the Twins, and its glyph resembles the Roman numeral II (2). The two pillars of the glyph mirror the split personality of Gemini, and represent two sides of the same person. By relying on either or both sides of their nature, the Twins are easily able to adapt to any situation. Chit-chatty Gemini is ruled by Mercury, the planet of communication. In ancient mythology Mercury was a messenger, carrying communications between the gods and the people. So in Astrology, it’s no surprise Mercury guides the way we communicate. Gemini absorbs great amounts of information, and Mercury cheers on Gemini to communicate this knowledge to others in the form of ideas and facts. As the third sign of the zodiac, Gemini rules the 3rd House of Communication. The 3rd house of an Astrology chart is where your your thoughts and communication style lie. This house identifies how you process information, the speed and clarity of your mind, and how well you can relay messages to others. Add Mercury, Gemini’s ruling planet, to the mix, and it’s easy to see Gemini’s powerful connection to the mind … and the mouth! 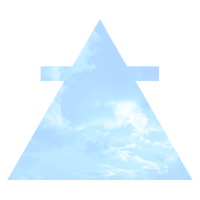 Blustery Gemini, with its element of Air, is continually whipping up a conversational storm. The Air element represents mental energy and intellect. Like a tornado on the loose, Gemini’s livelihood stems from a whirlwind of transformative experiences of the mind. Gemini embraces its Air element through their keen ability to process information, to multi-task, and to remain observant of the world around them. Yellow ain’t so mellow! Yellow, the color of Gemini, is uplifting and life-giving, and shines in Gemini’s exciting and upbeat nature. Like the color of the Sun, yellow lightens and brightens everything around it. As the color of the mind and the intellect, yellow empowers Gemini’s curiosity and thought processes. Gemini’s fast-talking and on-the-go demeanor is a dead giveaway of their Mutable quality. Mutable signs are the last signs in each season, and are therefore anxious for change and ready for a new view. Gemini is a social butterfly, always fluttering from one conversation to the next, so it’s no wonder this sign is ready to heat things up and push the year forward as the last sign of spring. Longer days and new opportunities to meet others out enjoying the sunshine means maximum social interaction!